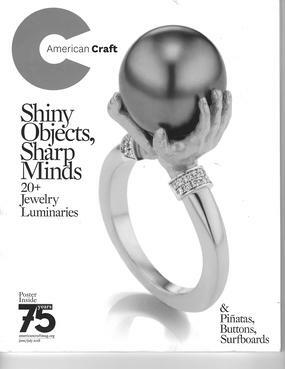 Diane's work is represented in the June/July, 2018 issue of American Craft magazine, Vol. 78, No. 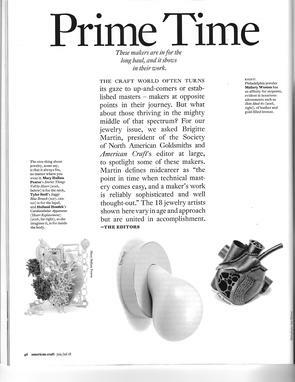 3, p.60, in an article titled Prime Time; an illustrated selection of 19 art jewelers by the editors with commentary by Brigitte Martin, editor at large. Diane just wrapped up teaching another Summer Soldering Intensive at the MFAH's Glassell School of Art in Houston. Eight eager and enthusiastic students spent five full-day, Saturday sessions advancing their soldering and metal-fabrication skills. The in-depth workshop focused on all aspects of silver soldering and was an opportunity for students to learn new tips and tricks and to troubleshoot their individual soldering problems. Comprehensive PowerPoint instruction along with live demonstrations were given and students completed a series of quick exercises designed to build and strengthen their soldering skills. Diane exhibited two pieces in "Shadow Themes: Finding the Present in the Past," at The Gallery at ReinsteinRoss, in New York. The exhibition, curated by Marjorie Simon and Biba Schutz, opened September 8th, 2016 and was on view through October 16th. The Gallery at ReinsteinRoss is located in Manhattan's popular Meatpacking district. Many of the participating artists were present for the opening. Diane and colleagues also participated in a related panel discussion hosted by Pratt Institute on September 9th. 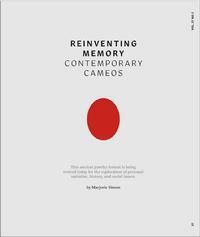 A printed catalog for the exhibition is available and includes an essay by Marjorie Simon. Contact: The Gallery at ReinsteinRoss https://www.reinsteinross.com/gallery/ for more information. Diane led a one-day workshop for students at Texas Tech Unviersity in Lubbock, Texas and was a speaker for the 2015 Texas Metals Symposium October 16th and 17th, 2015. The annual symposium is presented by the Jewelry Design and Metalsmithing program in the Texas Tech School of Art each fall. Two of Diane's brooches -- Gothic Revival Brooch (The Sublime and The Beautiful) (below) and Folly (left)-- are included in the exhibition Multiple Exposures: Jewelry and Photography at the Museum of Art and Design in New York. Curated by MAD’s Curator of Jewelry, Ursula Ilse-Neuman,Multiple Exposures: Jewelry and Photography will be on view from May 13 to September 14, 2014. Multiple Exposures: Jewelry and Photography is accompanied by a fully illustrated catalogue with essays by Ursula Ilse-Neuman, MAD’s Chief Curator Lowery Stokes Sims, Dutch author and jewelry curator Liesbeth den Besten, photography expert Mark Durant, Curator of Decorative Arts at the Toledo Museum of Art Jutta Page, American author and Metalsmith editor Suzanne Ramljak, photography historian and critic Lyle Rexer and German author and critic Ellen Maurer Zillioli. The exhibition will be accompanied by a full range of educational programming, including lectures and panels for adults, workshops for young visitors and families, in-house demonstrations of jewelry making, curator-led tours of the exhibition, and a variety of film screenings. 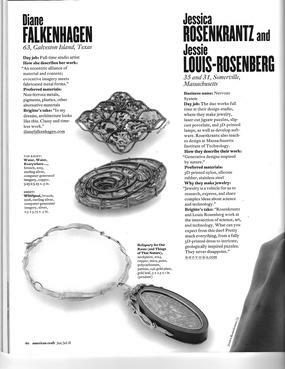 Catalog Pg 180, "Multiple Exposures: Jewelry and Photography"
Diane recently taught a two-day workshop at San Antonio's Southwest School of Art March 23rd and 24th. The topic was mixed media jewelry-making techniques. Lots of fun and great samples were produced ! 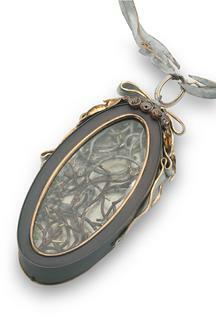 Diane's one-of-a-kind piece, Gothic Revival Brooch (The Sublime and The Beautiful), is featured on pages16 and 17 of Metalsmith magazine's 2012 Curated Exhibition in Print, Gothic Jewelry: Sinister Pleasures. The publication was curated by Valerie Steele, Director and Chief Curator of The Museum at the Fashion Institute of Technology in New York and author of more than a dozen books on fashion and related topics. Gothic Revival Brooch (The Sublime and The Beautiful) was recently shown at the Society for Contemporary Craft in Pittsburg, as part of the Transformations 8 exhibition. Next it will be exhibited at SOFA in Chicago, November, 2012, as part of a special exhibition of Metalsmith's EiP after which it will travel to the Metals Museum in Memphis. Later it will travel to the Arkansas Art Center in Little Rock with the continuation of SCC's Transformations 8. 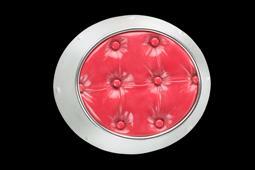 Diane's one-of-a-kind brooch, "Dalliance," is featured in the spring 2012 issue of Metalsmith magazine (Vol 32 No 2, pgs 32 - 39). 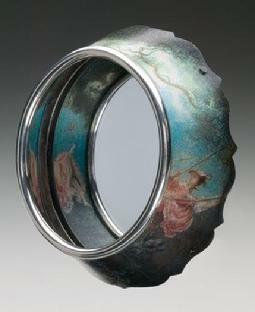 In a feature article titled "Narrative Illusion: Jewelry from Painting," author Lena Vigna, Curator of Exhibitions at the Racine Art Museum, illustrates and cites Diane's work in the context of other contemporary jewelry artists whose works also explore the complex dynamic between painting and jewelry. Diane was recently selected as one of 33 finalists in the Society for Contemporary Crafts' biennial Elizabeth R. Raphael Founder's Prize competition: Transformation 8: Contemporary Works in Small Metals. Diane created Gothic Revival Brooch (The Sublime and the Beautiful), pictured at left, expressly for the competition and exhibition which will travel after debuting at SCC February 3rd. through June 30th, 2012. 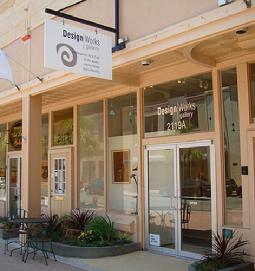 Diane's work will once again be exhibited in Celebrate Studio Jewelry, a group exhibition opening November 26, 2011 at Design Works Gallery in Galveston. 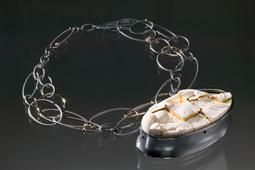 The exhibition features the work of 10 contemporary jewelry artists and will be on display through January 15th. There will be a patron's preview Friday, November 25th from 6 - 8 pm, and an ArtWalk reception Saturday, November 26th from 6 - 9 pm. Diane's work was exhibited in The Plastics Show, an invitational group exhibition at Velvet da Vinci Gallery in San Francisco, CA October 1 - 31, 2010. 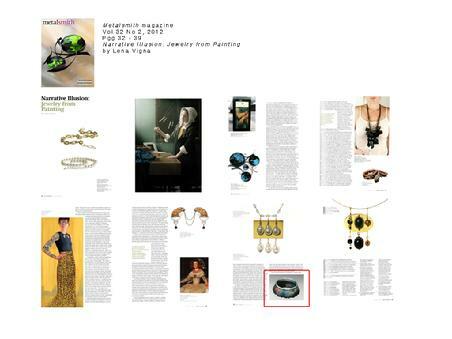 The exhibition was inspired by the newly published Lark Jewelry Book, 500 Plastic Jewelry Designs. 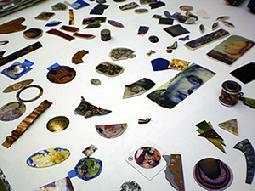 The Plastic Show featured work by 75 artists from the book. All of the artists employ a variety of plastic materials such as resin, latex, rubber, epoxy, and thermoplastics, many of which are reused or recycled. Diane taught a 5-day workshop at The Mendocino Art Center in Mendocino, CA July 19 -23, 2010. The workshop focused on Mixed Media Techniques for Jewelers and Metalsmiths. 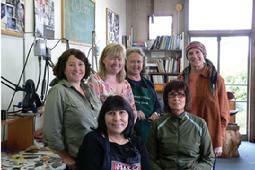 The Mendocino Art Center is a very special place overlooking the Pacific Ocean; it has been a haven for professional artists and all levels of students since 1959. Click here for more information about Diane's workshops. Diane's work was exhibited in Anatomy Lessons, an invitational group exhibition at Taboo Studio in San Diego, CA May 7 - June 18, 2010. Anatomy Lessons also featured the work of: Kristin Beeler, Jessica Calderwood, Julia D. Harrison, Thomas Mann and Christina Y. Smith. In March 2010, Diane and colleague Sandie Zilker were Co-Chairs of Going to eXtremes. The 2010 SNAG conference took place in downtown Houston March 10 - 13th, 2010. Highights of the conference: Nine inspiring speakers including keynote speaker, Caroline Broadhead; eleven special exhibitions throughout Midtown and the Museum District, including eXtreme Exhibition in Motion; three-hour Professional Development Seminar and Education Dialogue, and SNAG's very first onference Media Lounge. The Museum of Fine Arts, Houston was the conference's host institution. In February 2010 Diane traveled to El Paso, Texas and Las Cruces, New Mexico where she was visiting artist at the University of Texas (UTEP) and New Mexico State University from February 1st through February 4th, 2010. 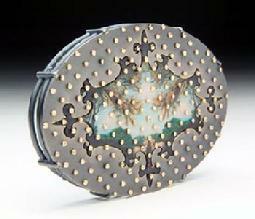 Diane worked with grads and undergrads in the jewelry/metalsmithing programs at both universities. In October 2009 Diane's Double Hidden Portrait brooch was published in Signs of Life, an art and literary journal accompanying an exhibition of the same name at Facere Gallery in Seattle, Washington October 7th through October 28th, 2009. 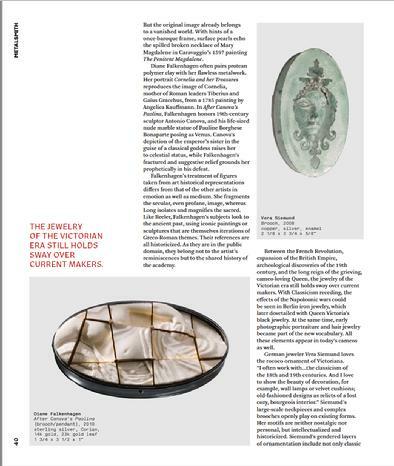 The exhibition, curated by gallery owner Karen Lorene, was reviewed in Ornament magazine; Diane's brooch is pictured on page 15 of Vol. 33, No. 1. 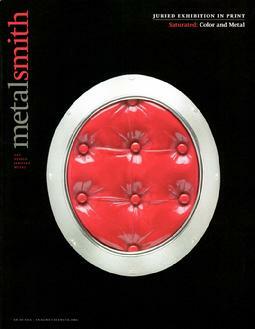 In August 2009 Diane's Red Upholstery Brooch was featured on the cover of Metalsmith magazine's 2009 Exhibition in Print (Vol 29, No 4) and also inside the issue on page 43. 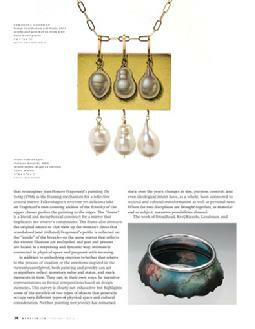 Work included in this publication was selected by jurors Marilyn da Silva and Jamie Bennett. 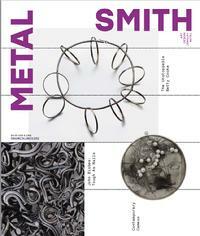 Metalsmith magazine is published 5 times a year by the Society of North American Goldsmiths. 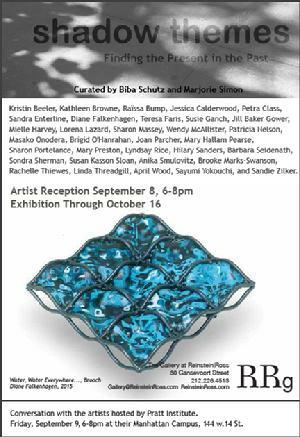 Exhibition in Print is an annual special issue that is alternately juried and curated. 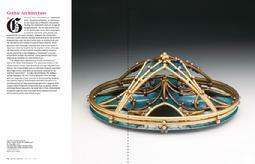 Metalsmith can be found in better bookstores and at specialty newsstands. Red Upholstery Brooch was also published in the Lark Books 500 Series book, 500 Plastic Jewelry Designs juried by Susan Kasson Sloan. In 2009 Diane taught three workshops in California -- Two for the Metals Arts Society of Southern California (MASSC) -- in Torrence at El Camino College and at Saddleback College in Mission Viejo; the third California workshop was a one-week class at the Mendocino Art Center in July. Studio Repairs Finally finished June 2009! 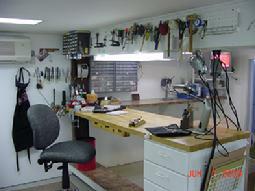 Diane finished rebuilding her studio after Hurricane Ike flooded her property and devastated Galveston Island. Click here to see slide show of new studio. Hurricane Ike struck Galveston Island on September 13th, 2008 wreaking havoc and flooding 75% of the buildings and homes on the island. Diane's studio took in 5 feet of water. CERF quickly offered assistance and provided generous support. Diane sends a heartfelt thank you to CERF! http://craftemergency.org. Click here to see images of Ike's devastation and the studio rebuilding process. 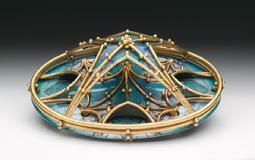 The exhibition was in conjunction with a two-day Jewelry/Metalsmithing seminar on campus; Diane's brooch is featured on the back cover of the exhibition catalogue.